Driver's side SRS (Supplemental Restraint System) airbag that deploys automatically. Intelligent Key System and Push Button Ignition. Turns easily in small places. · Boot not very spacious. Following the launches of the X-Trail and Teana, Japan's third largest auto maker launched its iconic sports car 370Z in India. All these cars managed to redefine the standards of automotive excellence in their respective segments. Now, to cater to the highly competitive small car segment, Nissan offers the all-new Nissan Micra based on the ground-breaking 'V' platform. The Nissan Micra is a true global car as it will be manufactured in four plants across the world and will be exported globally. However, the Micra is a product that has been specifically designed keeping in mind the discerning consumer needs of India. The car will showcase an excellent combination of newer generation avant-garde technology, outstanding design and highly developed features. The car is available in 4 variants; the XE, XL, the XE Plus which comes with factory-fitted accessories and the advanced XV. The six blazing colours that the Micra puts on to draw attention towards itself are Sunlight Orange, Blade Silver, Storm White, Pacific Blue, Onyx Black and Brick Red. 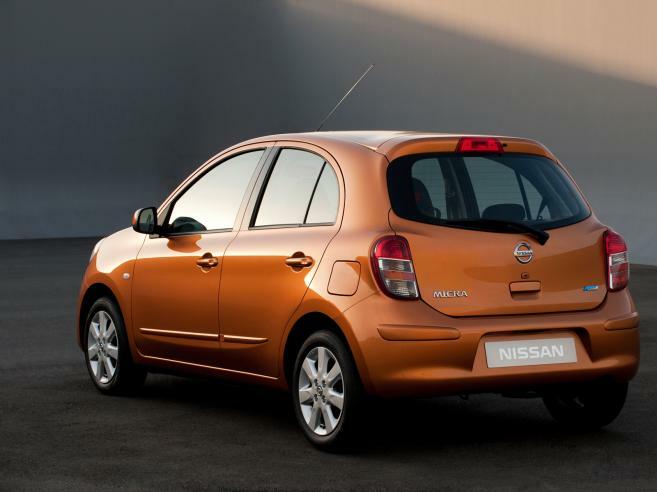 Nissan Micra comes in a single engine variant - 1.2 litre petrol with 3 in-line cylinders. The powerful engine can churn out a maximum power of 75 bhp @ 6000 RPM and will give you a maximum torque of 104 Nm @ 4000 RPM. Paired with the engine is a five speed manual transmission. Micra boasts of optimum performance, ride and handling combined with agility and refinement. Mounted on the Nissan's new signature V-platform, the suspension minimizes intrusion and takes on well to the Indian roads. The suspension set up comprises of McPherson Strut at the front and torsion beam at the rear. The cute looking hatchback also offers a great fuel economy of 18.06 kmpl. When it comes to interior & exterior style and features, Nissan Micra scores better than most of it contemporaries. Nissan Micra is a global car and hence the look is more international and also has a touch of sophistication. Nissan Micra is adorned with stylish headlamps and fog lamps which are strategically placed next to the front grille. Body coloured bumpers, door mirrors add extra style to the Nissan hatch. Also featured in the car are sporty Bumpers, body colour door handles and tinted front headlamps covers. The interior of the Micra feels quite spacious, thanks to its extra long wheelbase which enables a 'wheels-at-each-corner' stance. The hatchback can comfortably seat 5 adults and the 226 litre boot can accommodate two small bags and few small items. 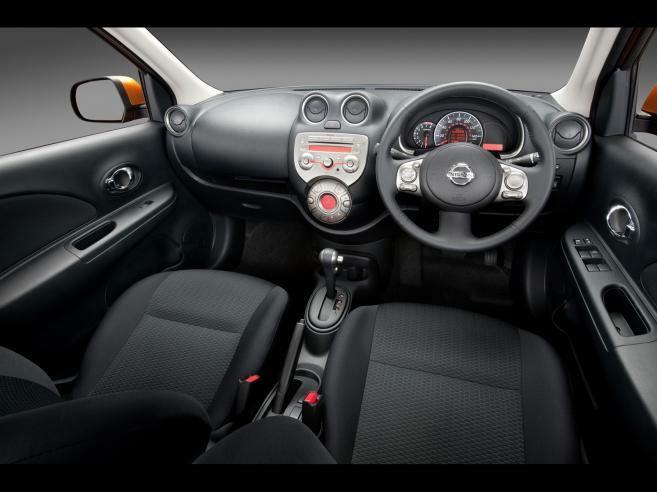 The Micra hatch is available with attractive interiors featuring dual tone attractive dashboard that houses the advance instrument cluster including Drive Computer, digital clock and tachometer. The advance features in the Micra include electric power steering with tilt adjustment, climate control AC, comfortable seats, electric speed sensitive front and rear power windows, door ajar warning lamp, low fuel warning lamp, passenger side front and rear grab handles, rear sliding seat with 60:40 Split, electric heated door mirrors, driver and passenger vanity mirror and front map reading light. Nissan's concept of safety shield is reflected in the Micra. 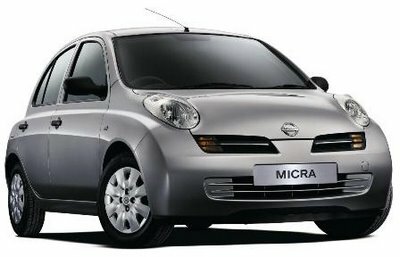 The Nissan Micra has a full assortment of safety features such as driver and front passenger airbags, engine immobilizer, ABS, EBD, Brake Assist, and security alarm system. Central Door Lock, Remote Keyless Entry and Intelligent Key With Push Button Ignition features are also available in the top end variant of the car.